Verbs are the core of the Portuguese language. All Portuguese verbs are grouped in 3 groups (verbs in AR, verbs in ER and verbs in IR). This package will allow you to learn all tenses of the AR verbs. Product details explains more. So far, you have learned a few sentences, from previous packages, that allow you to say certain things in certain situations. If you look at them carefully, you will realise that every sentence has a verb - a doing word (say for instance the verbs "to speak", "to understand", to know", "to meet", etc.). In Portuguese, verbs normally follow patterns. Those that follow patterns are called "Regular Verbs". Those that don't are called "irregular Verbs". Also, all Portuguese verbs (and there are millions of them) are grouped in just 3 groups: AR verbs, ER verbs and IR verbs. 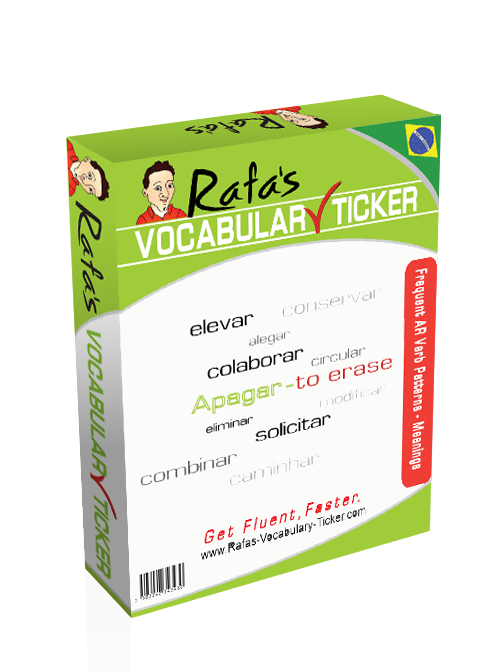 This package gives you the patterns for millions of Portuguese AR verbs. So, a verb is the word you have to adapt when you build a sentence. The adaptation of that word will give you the ability to say something in the present, in the past, in the future, as a command to others, and so on and so forth. So, this adaptation will allow you to use the same verb in different tenses - Past, Present, Future, etc. in the future - I will speak / I'm going to speak, and so on. 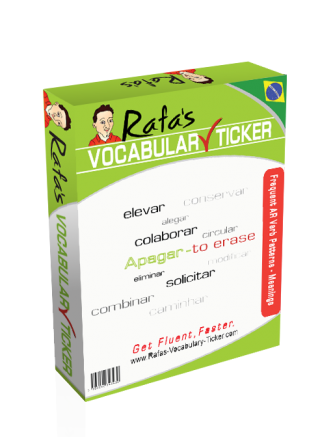 Learn verbs with expressions that require a certain tense and a certain mode. Learn AR verbs easily even if you don't want to learn much grammar. Should you wish to learn more about verbs, you can click here to visit my other site - Learn-Portuguese-with-Rafa.com - which may shed some more light to this matter. Advise: You will get better results from this package if you learn just a few items at a time (10 max), and if you mix them with other phrases and words from other packages. Learning verbs may be boring but they are essential for you to speak good Portuguese. The effort is definitely worth it! 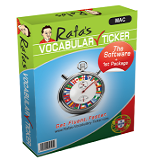 So, if you want to nail millions of Portuguese AR verbs, download this Package now.